Hard to reach floor sinks – NO PROBLEM! 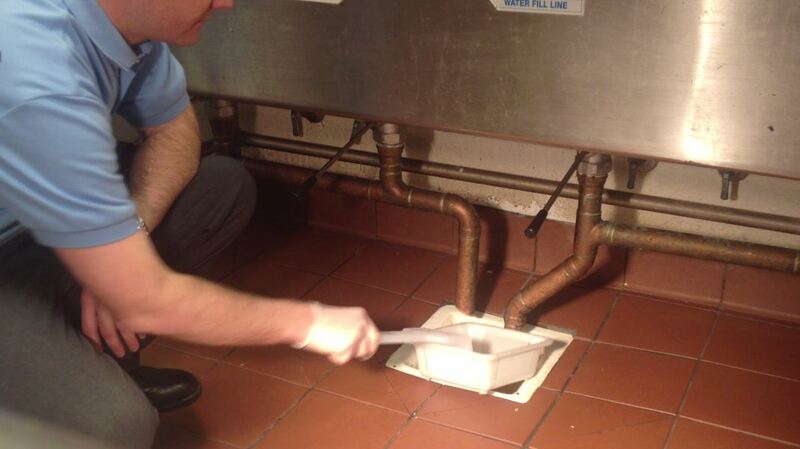 Every floor sink needs to have a strainer basket to keep food, trash, and debris out of their floor sink drains. 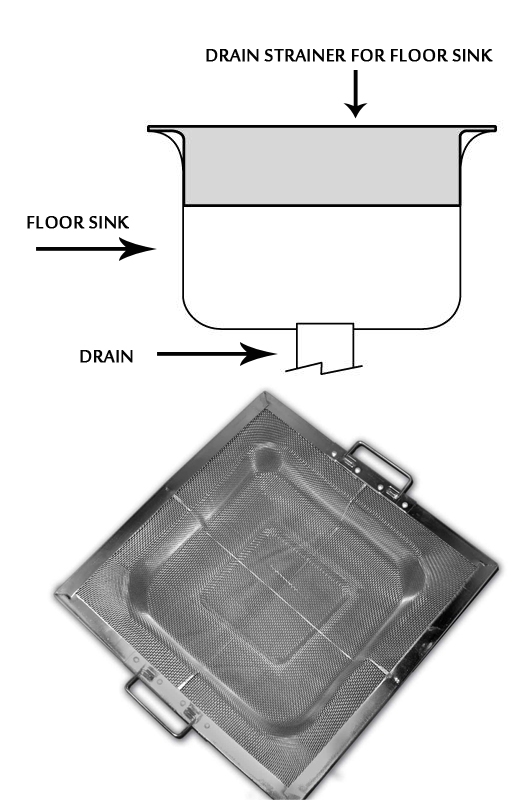 However, sometimes these floor sinks are hard to reach, making it difficult to empty and maintain. Drain-Net has solved this problem with the Extedo-Net. 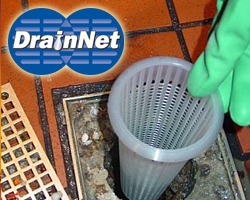 Drain-Net can add an extending handle to any floor sink basket for easy installation and removal. Choose the length you need (standard sizes includ 1,2,3, and 4 feet long). Get yours today!